Faded Page is an archive of eBooks that are provided completely free to everyone. The books are produced by volunteers all over the world, and we believe they are amongst the highest quality eBooks anywhere. Every one has been scanned, run through OCR software, proofed, formatted and assembled extremely carefully, using hundreds of volunteer hours. These books are public domain in Canada (because we follow the Canadian copyright laws), but if you are in another country, you should satisfy yourself that you are not breaking the copyright laws of your own country by downloading them. You are free to do whatever you like with these books, but we hope that mainly...you will enjoy reading them. If you are thinking of visiting a national park in Canada, then you might want to take a look at one of our Canadian National Park guidebooks issued by The Geological Survey of Canada. Not only do these guidebooks highlight the roadside lookouts and stops, but they describe in detail the geological aspects of each park. Written by David McCurdy Baird, a Canadian geologist, photographer, and academic, these timeless guidebooks are illustrated and are perfect as an annotated drive through each of the parks. 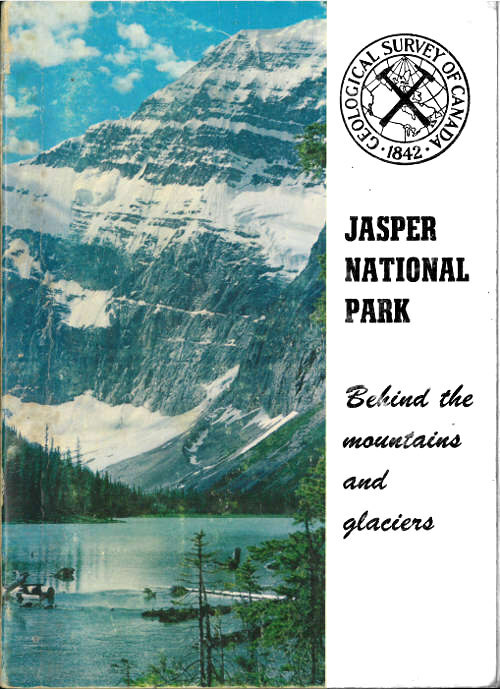 Our feature guidebook, Jasper National Park, describes in some detail the general aspects of the geology of Jasper National Park: where it is, how the mountains there originated, the rocks of the region and where they came from, and the different shapes of mountains related to the structures of the rocks composing them. The last part comprises a series of notes on what is to be seen at each of the lookouts and roadside stops along the main travel routes. With four different routes annotated, numerous illustrations, and a fully linked index, this guidebook is typical of what you will find in other guidebooks in this series. We currently have ten titles here at Faded Page, including Kootenay National Park, Prince Edward Island National Park, Waterton Lakes National Park, Yoho National Park, Banff National Park, Rocks and Scenery of Fundy National Park, National Parks in Ontario, Cape Breton Highlands National Park, and The Nakimu Caves, Glacier Dominion Park, B. C..
We invite you to come join us and proof a few pages to help us bring more public domain titles like these to Canada. Information about volunteering is available at our companion site, Distributed Proofreaders Canada.